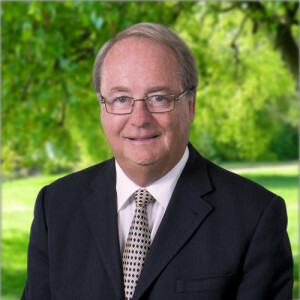 Doug McCallum served proudly as a Surrey City Councillor between 1993-1996 and as Mayor of Surrey between 1996-2005. He also sat as the Chair of Translink from 2002-2005, a Director of the Big Cities Mayors’ Caucus, and currently sits as a Director on the Law Foundation of BC. He was able to clean up the crime-ridden town centre of Whalley by taking aggressive stances on drug houses, increasing the police presence on the streets, and ensuring that all criminal activity was taken seriously and met with swift action. Doug showed respect for the residents of Surrey by freezing property taxes for 9 years. The City of Surrey also reached unprecedented levels of growth and prosperity through property development and investment. His return to run as the Mayoral candidate as part of the Safe Surrey Coalition is fuelled by a growing divide between the current Mayor and Council and the needs of Surrey citizens. Ineffective strategies on crime and public safety, blatant examples of fiscal waste and mismanagement, and growing anger over unequal treatment of neighbourhoods, require immediate change and tangible action of how to improve Surrey’s fortunes. The ability of any one individual to have an impact begins with a decision to stand up and make a difference. Surrey is our community. The time for leadership is now. Doug McCallum is ready for that commitment. “Surrey has become the showcase for the best that BC has to offer – a multicultural landscape that is strong and vibrant, a business community that is the heart of the city’s growth and competitiveness, and a kind and considerate population that is a model for community spirit.